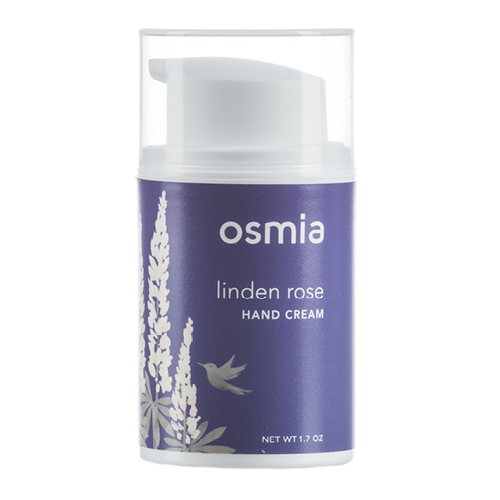 The Linden Rose Hand Cream extends skincare to your hands with the purity and high quality ingredients that Osmia is known for. Delicately scented with organic Bulgarian Rose otto and Linden blossoms, this Osmia hand cream offers a feeling of non-greasy, luxurious hydration in a perfect on-the go pump bottle. my hands have not been dry since the day i discovered this cream. finally, the search is over! i love how this absorbs into your skin and does not feel greasy and the scent is so light and beautiful. i am never without a backup bottle of this because there is no way i could ever use anything else. thanks BH for having it in your shop. osmia can do no wrong!